The Kubota Utility Shears is versatile for any garden, shop or home project. Constructed of quality stainless steel and designed with comfortable grip handles. Perfect for cutting fabric or wire material. Easy-to-use and curve-compatible slitting shear with integrated chip cutter for clipping off the cut chip at any point.Left. and right curve cuts and distortion-free cutting possible with one continuous chip. Rapid performance due to excellent view of the cutting line through the open-front cutting head. Clean swarf removal prevents injuries or scratches on workpieces. Milwaukee long cut offset snips are designed for cutting long, straight runs or left curves of up to 20ga cold rolled steel. The 3 inch blades achieve more cutting length per stroke for straighter, cleaner cuts. All Milwaukee snips feature forged cutting heads for maximum durability and machined steel blades for precision cuts. The 45-degree offset cutting head keeps hands away from the cutting material for safer cuts and more control. They are designed with a one handed locking mechanism for ease of use while cutting cold rolled steel, stainless steel, aluminum, vinyl siding, screening, cardboard, leather and copper. The Wiss 2-Pack Aviation Snips features two of the most popular and versatile Wiss snips available. The left-cut and straight-cut snips provide versatility for a wide variety of projects. Non-slip grips ensure a firm hold during usage. The snips feature 4x the spring life and 6x the pivot bolt life of most standard snips. 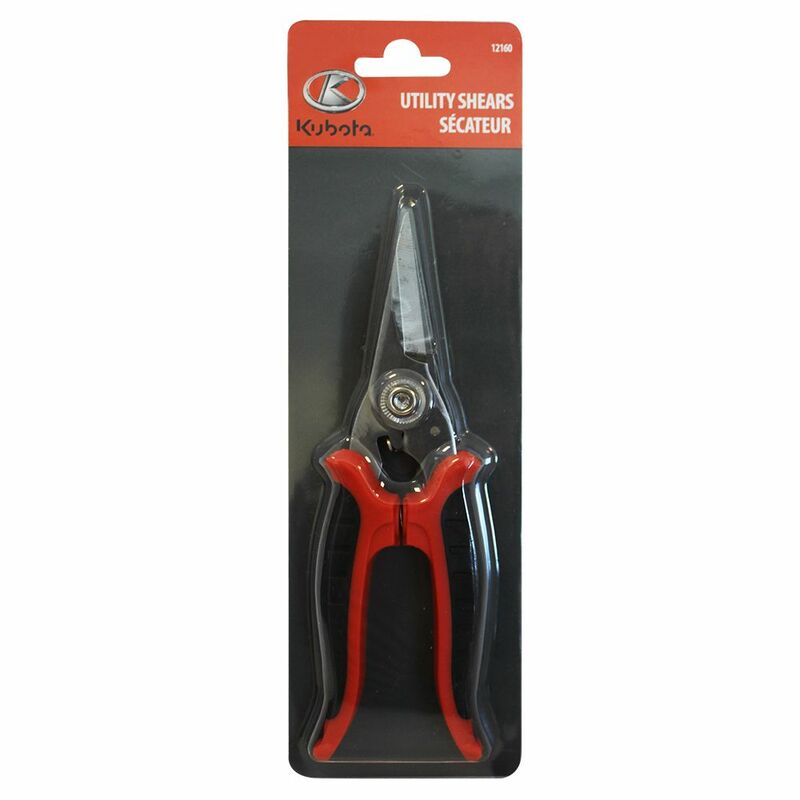 Utility Shears The Kubota Utility Shears is versatile for any garden, shop or home project. Constructed of quality stainless steel and designed with comfortable grip handles. Perfect for cutting fabric or wire material.